At Exclusive Beauty Care, we provide fantastic special offers on a regular basis. Watch this space for more information about our latest special offers. Newly launched in salon, LVL lashes introductory offer will be £60 until the end of August 2013. Usually £65, patch test required 48 hours before first treatment. Buy any 2 Sothys porducts and receive Limited Edition Shower cream for free. Exclusive Beauty Care is delighted to announce the launch of our new website. With our new online portal, we’ll aim to keep you updated with our latest beauty treatments and special offers. For any queries, call the salon and find out more. You can now find out more about our latest beauty treatments - including the CACI Jowl lift facial. We always like to keep updated with the newest beauty trends, and we leave no stone unturned when it comes to sourcing the right products. 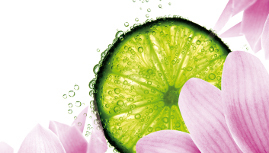 We stock a range of fantastic Sothys skincare products which bear all the hallmarks of quality. You can now check out our full Sothys range by consulting our online price list. Get in touch with Exclusive Beauty Care to book an appointment today. At Exclusive Beauty Care we are committed to the highest privacy standards. However you choose to interact with us, we will only collect data that is necessary for us to deliver the best possible service. This policy provides detailed information on when and why we collect your personal information, how we use it and the very limited conditions under which we may disclose it to others. We will only collect your basic contact information (name, email address and telephone number) as well as any other information you choose to volunteer on our website Contact Form. The information we collect about you is used to ensure we provide you with the best and most appropriate products and services. We use your contact information to respond to queries from you, and where appropriate your bank details to collect any payments as agreed. We may occasionally contact you to ask for your feedback on services we have provided. Where necessary we may disclose your information to external agencies and organisations, including the police, for the prevention and detection of fraud and criminal activity. Should any claim be made, we may pass your personal information to our insurers and if our business is wholly or partially transferred to a third party, your personal information may be one of the transferred assets. i. using any automated means to monitor or copy the website or its content, or to interfere with or attempt to interfere with how the website works. Add This store cookies which allow the social sharing functionality on social networks such as Facebook. Facebook store cookies which allow the Facebook “Like” social sharing functionality but only if you click on the Facebook “Like” button on our website or log in to Yell using your Facebook account. We may update this policy from time to time so you may want to check it each time you visit our website. We last changed this policy on 14 May 2012.